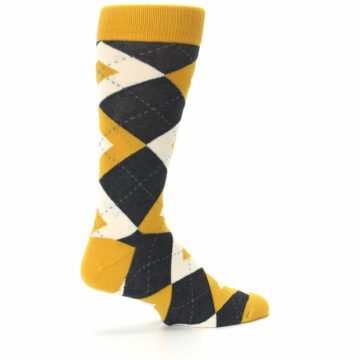 These socks are a MUST(ard)! 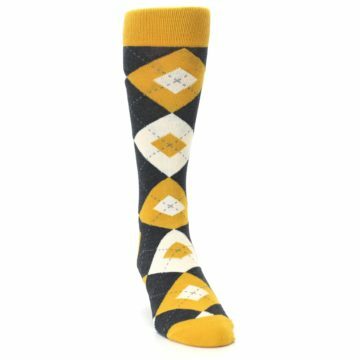 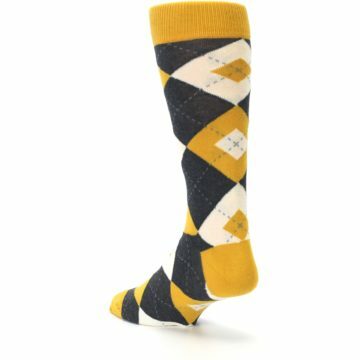 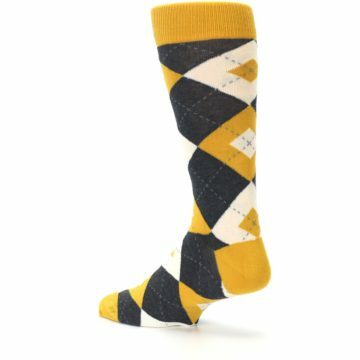 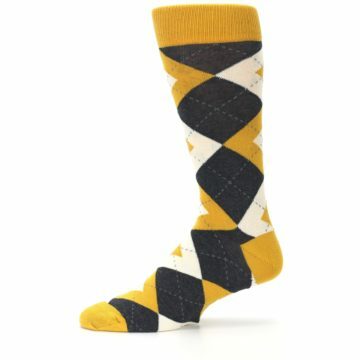 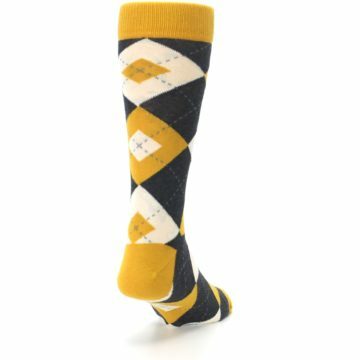 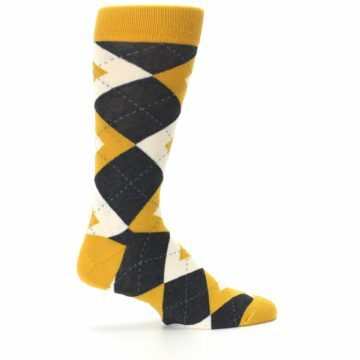 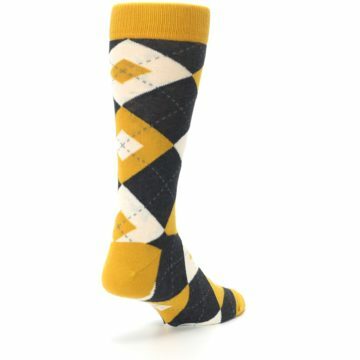 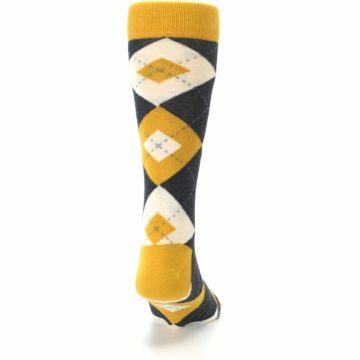 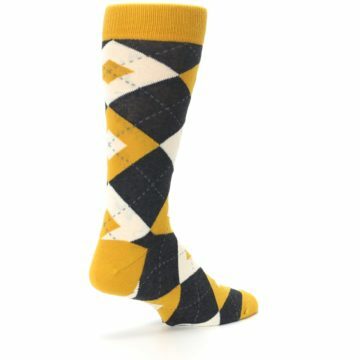 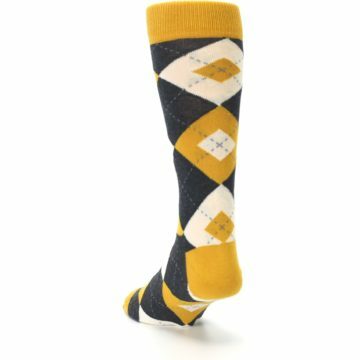 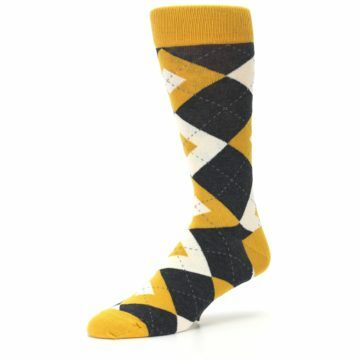 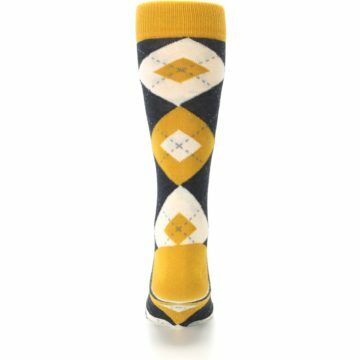 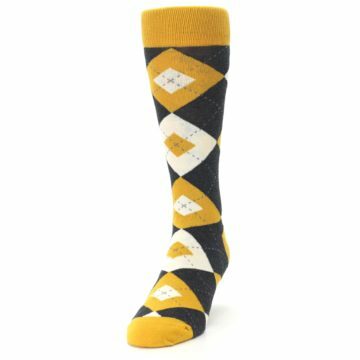 Check out our unique mustard yellow and gray argyle men's dress socks. 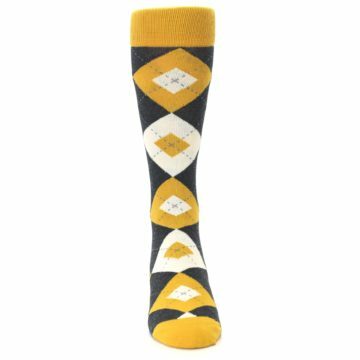 Made with 85% combed cotton and everyday thickness, have fun knowing you are in the best socks built for comfort and style. 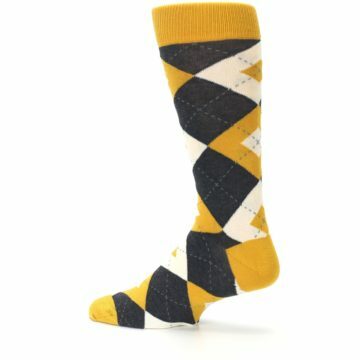 These mustard yellow groomsmen socks are a great match to the mustard dresses from popular wedding stores. 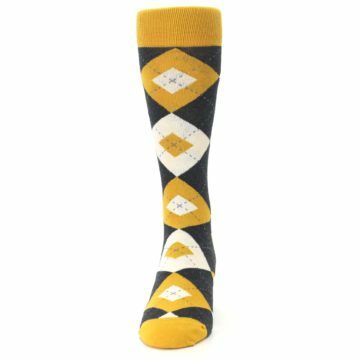 Mustard is a rich, subdued hue of yellow that tastefully saturates a more neutral wedding theme. 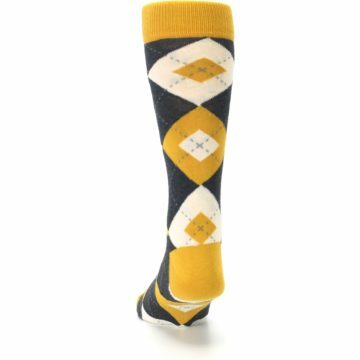 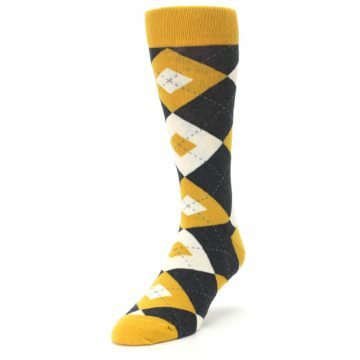 There are not yet any reviews for Mustard Yellow Grey Argyle Men's Dress Socks.